Janet Whitley joined RBF Wealth Advisors from a top-tier investment and insurance firm where she was the Investment Operations Manager. She serves now as Tony Kalinowski’s Registered Executive Assistant. 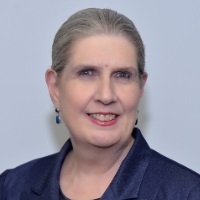 Janet entered the securities industry in the year 2000 and has passed the Series 63 and 66 state law exams, Series 6 and 7 general industry exams, and Series 9 and 10 principal supervisory exams. She has a Bachelor’s degree in piano performance from Converse College, Spartanburg, SC and a Master’s degree in piano performance from the University of Tulsa, Tulsa, OK. Janet is active in Community Bible Study as a small group facilitator and prayer chairman. She also serves with the Aaron Project to mentor missionaries in compromised countries. Janet is the proud “Grammie” of 15 grandchildren scattered all over the USA with her five sons and their wives. She enjoys traveling to the “grans” homes as well as reading, movies, entertaining, and gardening. Every summer Janet hosts cousin camp at her home for all grandchildren age 4 and above.